woman in North York early Thursday morning. The incident stemmed from a collision that occurred in the Yonge Street and Finch Avenue area shortly after 12:30 a.m. According to police, a 26-year-old woman was driving her vehicle in the Willowdale neighbourhood when it was rear-ended by another car. When she got out to inspect the damage, she was grabbed and forced into another vehicle by three or four men, police said. 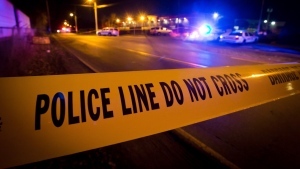 She was ultimately able to escape from the vehicle, as it was moving, in the 16th Avenue and Leslie Street area in Richmond Hill sometime later. She flagged down a passerby, police said. “Officers located her and she was taken to hospital for her injuries,” police said in a media release issued Friday afternoon. The victim was targeted, Toronto police Det. David Zajac said in a press conference held Friday afternoon. He was not able to comment on whether the victim and the suspects were known to one another, but speculated that robbery was the motive behind the abduction, although nothing was taken from the victim. Police believe the men were operating a 2014-2016 dark Volvo S80 at the time of the abduction. “Investigators are interested in speaking to anyone who may have (dashcam) video or other security camera images from the area,” police said. No descriptions of the suspects were provided in Friday’s media release. Anyone with information is asked to contact police at 416-808-3200 or Crime Stoppers at 416-222-TIPS (8477).